VirusTotal.com is a free online scan service that analyzes suspicious files using 40+ Anti-virus applications. It facilitates the quick detection of viruses, worms, trojans, all kinds of malware and provides reliable results preventing any False Positive cases. 'VirusTotal Scanner' is the desktop tool which helps you to quickly scan your file using VirusTotal without actually uploading the file. It performs direct Hash based scan on VirusTotal thus reducing the time taken to upload the file. It comes with attractive &amp; user friendly interface making the VirusTotal scanning process simpler and quicker. You can simply right click on your file and start the scan. 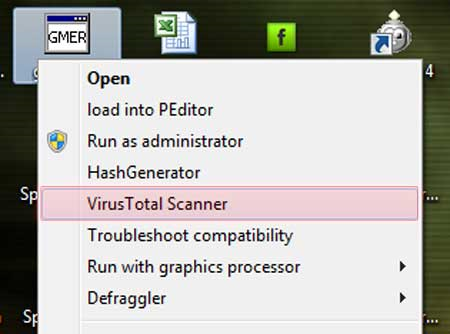 VirusTotal Scanner is fully portable tool but also comes with Installer for local installation &amp; un-installation. It works on wide range of platforms starting from Windows XP to new Windows 10 version. Easily &amp; Quickly perform VirusTotal scan of your file. Performs Hash based scan without uploading the file. Right click context menu to launch it directly by simply right clicking on the file. Includes optional Installer for local Installation &amp; Uninstallation. Though VirusTotalScanner is a Portable tool, it comes with Installer so that you can install it locally on your system for regular usage. It has intuitive setup wizard which guides you through series of steps in completion of installation. 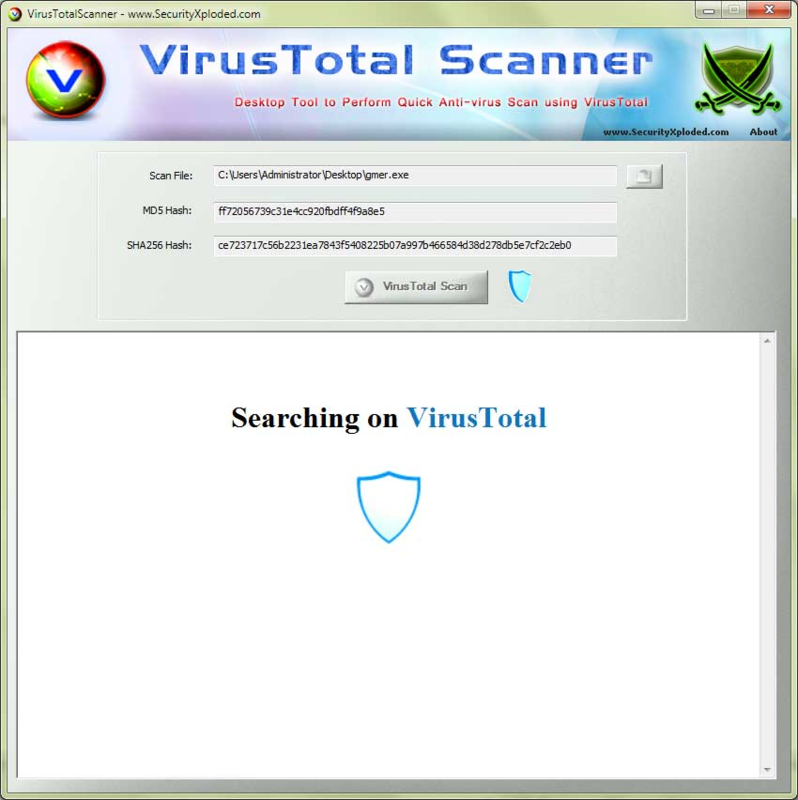 VirusTotal Scanner is GUI application which comes with simple interface and makes it easy to use even for beginners. Launch VirusTotal Scanner on your system after installation. Drag &amp; drop your file or click on browse button to select the file. On selecting the file, MD5 and SHA256 hash for the file will be displayed. You will see 'Searching VirusTotal' page with animation as shown in screenshot 1. After the successful scan, detailed VirusTotal report is displayed as shown in screenshot 2. If file is not found then error message is shown and you will be asked to upload the file manually. New improved web browser control, should work without crashes. 890 2,267 SecurityXploded <img src="http://www.oldergeeks.com/downloads/gallery/thumbs/VirusTotalScanner2_th.png"border="0"> Jun 22, 2018 - 11:05 7.5 3.55MB ZIP , out of 12 Votes.